In which our heroine decides to pursue a new and exciting career… and write about it. In which I resurrect my blog. It’s been 2 years since I last published a post here. I didn’t mean for it to be so long but I had a massive case of writer’s block, and then got so focused on life and school that I forgot for a while that I even had a blog. But today I remembered my promise to myself… to chronicle my adventures through library school and beyond, and hopefully to enlighten and amuse some readers on the way. So, where do things stand right now? I am still at the Syracuse University School of Information Studies (a.k.a. the iSchool) working on my Master’s of Science in Library and Information Science (a.k.a. MS LIS) degree on a part-time basis. I should receive my degree in May 2020. I also work part-time with Associate Professor of Practice Jill Hurst-Wahl on projects related to the new iSchool Public Library Initiative (more on this later). I’m not sure yet how often I’ll be blogging, but my tentative plan is once a week or so. Here’s to a fresh start! In which I start a new semester and am already swamped. I faithfully promised myself that I’d post at least once a se’nnight* during the semester, even though this blog is no longer part of a class assignment. Since my first class was last Wednesday morning, I’m hitting “Publish” just in time. I’ll provide more details on them later, but for now I must get back to work! *se’nnight = a somewhat archaic English term for seven nights & seven days, or a week. I faithfully promised myself that I would use it in a sentence as often as I thought I could get away with it. In which I license this blog under Creative Commons. Basically, I know that I have rights to my original work. And, though I can’t imagine anyone beating down my door and demanding permission to reproduce my work, I’m actually perfectly willing to share the creative content of this blog for public use, with a few restrictions. That’s where a Creative Commons license comes in. 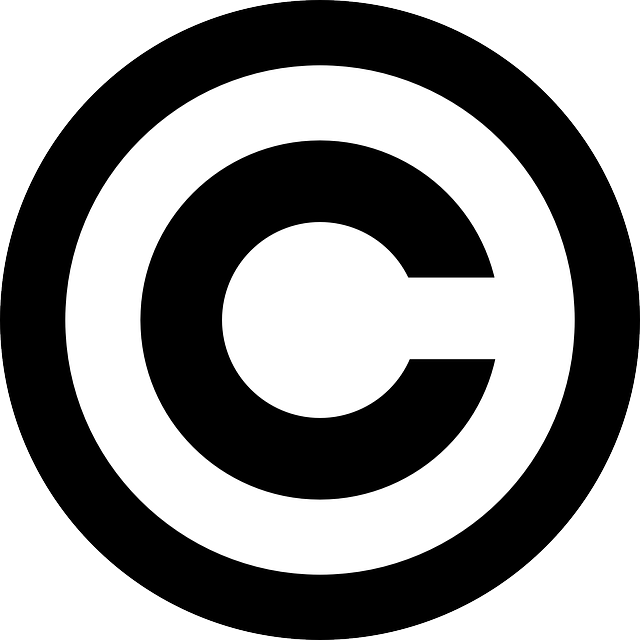 Creative Commons is a nonprofit organization that provides free, legal copyright licenses indicating under what terms I (and others) are willing to share our work. In my case, I’ve chosen a Attribution-NonCommercial license, which means you don’t have to ask permission, just go ahead and share, copy, redistribute, or adapt what I’ve created, as long as you give me appropriate credit and don’t use it for commercial purposes. Based on a work at http://libraryheather.com. Although I’ve only scratched the surface in learning about copyright, fair use, public domain, and Creative Commons, I find the whole subject area completely fascinating. I’m planning to take a copyright class before I finish grad school. Wanna Work Together? from Creative Commons on Vimeo. In which I introduce Project LISten. In my IST 511 class (Introduction to the Library & Information Profession) we’ve talked about how good librarians use the resources of their communities to facilitate knowledge creation. Since leaving the bookstore world and starting grad school, my “community” has changed significantly. The people with whom I used to spend 40+ hours a week, at work or socially, are now almost 50 miles away from Syracuse, where I’ve spent most of my time since September. While doing my best to stay in touch with old friends, it’s been important for me to get to know my new companions at the iSchool. Pondering ideas of community, resources, knowledge, and creativity – and wanting this blog to be about more than just my library journey – gave me the idea for a series of posts featuring my LIS classmates. Inspired by Humans of New York, I first thought of calling it Humans of Library School. But I wanted to incorporate the idea of listening to what one’s community is passionate about (based on a class exercise where we each talked for 2 minutes on a topic of interest to us). Finally, after asking for feedback, as wise librarians do, I’ve settled on Project LISten. Each Project LISten post will feature a picture of a fellow student along with 10 sentences, questions, or interesting facts about them. In this way, I’ll learn more about my grad school cohort and be able to foster connections between them and my wider, social media community. Granted, I’ll be making these connections on a small scale since this blog doesn’t have a huge readership (yet). But it’s a start at putting into practice the ideas I’m learning in theory. In the spirit of marshaling the resources of my new community, I’ve accepted the help of my classmate Lauren, who’s a generous, exuberant person and a wonderful photographer. Whenever possible, Lauren will take the photo that accompanies each Project LISten post using her creative knowledge and a professional-quality camera, an improvement on anything I could produce with my cell phone. I hope that over the course of the project I’ll find ways to incorporate the expertise of other classmates, and volunteer my skills and knowledge in return. I hope you’ll all enjoy meeting these librarians-in-training as much I have. Look for the first official post tomorrow. In which I shadow a (really cool) reference librarian. Her official job title is Director of Innovative Family Services and it may well be the best job ever. Margaret Portier is the name of this fortunate librarian. I’m the lucky library student who got to shadow her at the Fayetteville Free Library (FFL) for three hours on Saturday as part of my IST 605: Reference and Information Literacy Services class. Margaret Portier from the Fayetteville Free Library. Photo shared with permission. Reference skills are customer service skills. Although my textbook refers to them as reference skills, Margaret used what I – because of my retail background – call good customer service skills. She demonstrated approachability by making eye contact and smiling, greeting the library members (very often by name), and displaying relaxed but attentive body language. I witnessed examples of verbal acknowledgement (rephrasing what a person said to ensure understanding) as well as open questions meant to clarify the information being sought. For example, a man wanted to find a book for his wife similar to one she had just read. Margaret began, before consulting a reference resource or dashing away to the shelves, by asking, “What about this [first] book did your wife like best?” Instead of making an assumption, she took pains to understand the user’s need more fully, and this was a perfect way to handle an imposed query. This may seem like a very basic skill in a simple transaction. You might take it for granted because it’s the sort of proficiency that’s not always noticeable until it’s absent. However, if you’ve ever felt frustrated by getting a not-quite-right answer, or suspected the person who’s “helping” you wasn’t paying attention to the specifics of your need, you quickly begin to value the good follow-up question. Non-traditional reference: the coolest part. Although Margaret does plenty of traditional reference, answering questions in-person at the Information Desk and over the phone, by far the most unusual (and fascinating) aspect of her job is her role as the library’s Minecraft specialist. In response to the needs of their tween/teen patrons, the FFL has installed MinecraftEdu (the classroom version of the popular game) on their server. Margaret has assumed responsibility for learning the ins and outs of the game from scratch (i.e. she didn’t come to the library an expert but learned it on the job) and serves as the players’ source of assistance in the library. She provides this help not only in person but also from within the game through the player chat feature. 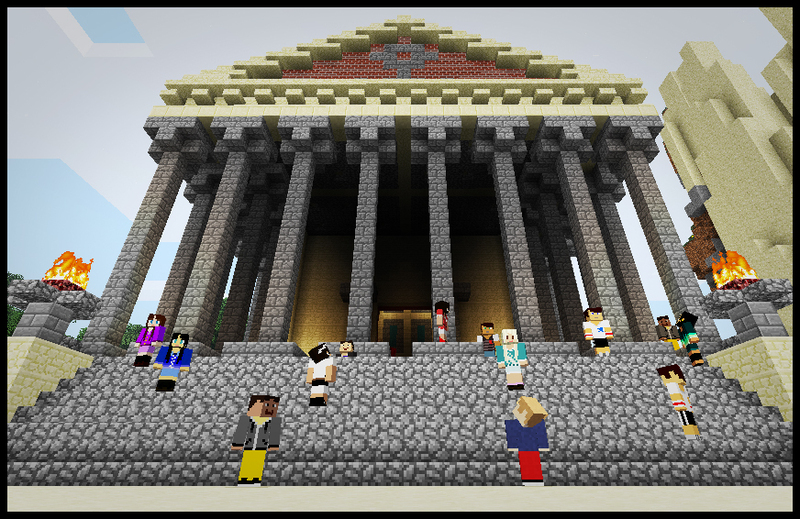 Let me repeat: she is providing virtual reference services for library members through Minecraft as part of her job! [I don’t play Minecraft myself, but my nephews do, so I fully comprehend the marvelousness of this service.] I asked what reference resources she found most helpful for her non-traditional reference work and she pointed me towards the Minecraft Wiki and the MinecraftEdu Resources. However, she sometimes facilitates learning by connecting newer players who have questions with more experienced players who know how to get things done in the game. Minecraft wikis and local teens as reference resources? This is innovative librarianship! At least 4 adult patrons made a beeline for her desk as soon as they walked into the library, and knew her by name. Previous good service clearly made them feel comfortable returning to her for future assistance. Margaret was the most popular person in the library with the Minecraft gamers. Granted, maybe it’s because they have no other choice of librarian with that specific knowledge, but I doubt it. It was obvious to me that the younger patrons had no hesitation about approaching her for help. She is clearly valuable to their library experience. As you can tell, I enjoyed my Saturday morning at the main Information desk with Margaret. I’ll have the chance to shadow her for another three hours next month (at the desk in the teen space) and observe a one-on-one instruction session. In the meantime, I’ve signed up for a library card so I can use the computer lab, develop some Minecraft skills, and seriously impress my nephews. I also know which FFL librarian I’ll ask if I need help. In which it’s all about you. Yes, you! Last night, in my IST511 class (Introduction to the Library and Information Profession) we did an activity that I enjoyed far too much. Dividing up into pairs, we each spent two minutes talking to our partner about something we were passionate about. I devoted 120 delicious, uninterrupted seconds to geeking out over opera. In return, I was treated to an enthusiastic description of crochet and its increasing popularity. My desire to serve my community, to connect people with resources, is what drew me to librarianship. Blogging about my journey is a pleasure, but sometimes feels a bit narcissistic. So that’s why this post is now dedicated to YOU. Really! 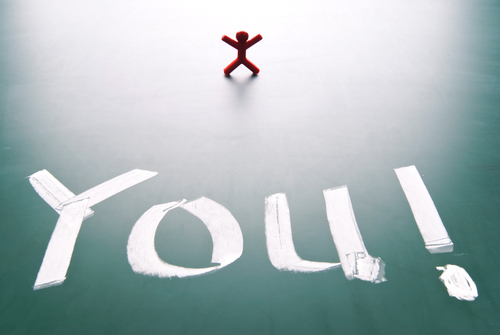 Instead of writing anymore about myself today, let’s talk about you. Whoever you are, librarian or non-librarian, friend or stranger… what are you most passionate about? What ideas could you spend two minutes, or two hours, discussing non-stop? Sea creatures? Gourmet cooking? Aboriginal art? What are the really nerdy things that you wish other people were as giddy over? What topic makes you jump for joy when you hear or read about it in the media? Please share your enthusiasm in the comments below, whether in just one word, or several paragraphs on your favorite hobby. I’m sincerely curious and I promise to read every word. P.S. Want to see two good examples of public libraries asking these sorts of questions? The Fayetteville Free Library has a first-rate Community Engagement Survey. Simple but effective, the form allows them to gauge their members’ interests and contact those who might have skills and information to share. The Geek the Library campaign (in the village of Hamilton and many other participating libraries) achieves a similar goal, giving the public a chance to express what motivates and inspires them to learn. How are other libraries initiating these conversations? In which cinephile humor is essential. Although I’m enjoying all of my classes this semester, I must confess to some challenges when tackling the readings for IST 616 – Information Resources: Organization and Access. Librarians love acronyms. Although I am generally fond of acronyms myself, I seem to have met my match in this particular class regarding the number I’m able to absorb, understand, and remember: AACR2, DC, RDA, MODS, DACS, CCO, EAD, MARC, CDWA, VRA Core, TEI, CIDOC, ONIX, etc. My mind is well and truly boggled by all these acronyms. Only the well-organized lectures of the professor, weekly visits to office hours, and class discussions with other students have kept me from losing my mind. I’m in the midst of making flash cards to aid my memory, but confess that I’ve viewed the above video clip multiple times as a stress-reduction technique. Base the description on the first part or, lacking this, on the earliest available part. For numbered multipart monographs, the first part is the lowest numbered part. For unnumbered multipart monographs, the first part is the part with the earliest publication, distribution, etc., date. Here’s hoping I don’t have to invoke the Sanity Clause before the semester is through. Don't Miss a Single Adventure! In which I am accepted for publication. In which I get some good news. In which I confess an apprehension about the future. In which I reveal what you think about “librarian”. The Adventures of Library Heather by Heather Elia is licensed under a Creative Commons Attribution-NonCommercial 4.0 International License.